Hey kids (big and small)! 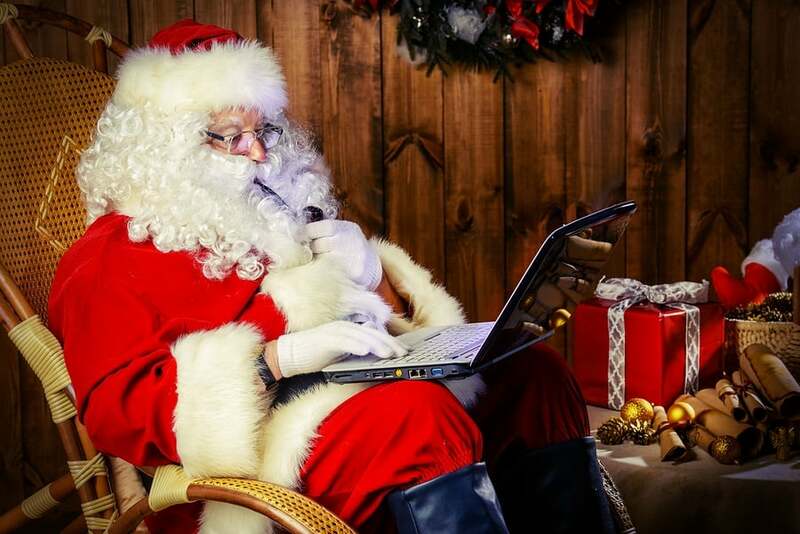 Now is your chance to email Santa. CLICK HERE to email to big guy! He promises us that he reads and see every single one of your emails. He’ll be in soon with Murphy Sam and Jodi! I would like the new 3ds xl with a set of head phones and Super Mario Brothers 3d land. I work with the special needs population and we love listening to 98.9. Do you think Santa could call us? Dear santa keep in mind I love my kids equally but this year what I would want for Christmas is a special needs carseat for my oldest son Aiden, he is now 9 yrs old and doesn’t fit comfortably on his baby one making it dangerous for him if anything would happen to us on the road. other people that don’t get presents give theme mine. Dear Santa, this is Sharon Taylor again, I should tell you my Youngest Son’s Clothes Sizes: Shirts Large and Pants size 18 regular for Jean’s. For Sweat Shirts And Sweat Pants A Medium Should Be Okay, He’s tall and slim. Large Sweat Pants May Be Okay, I’d Try Medium’s And Large To Be On The Safe Side. Thank You Again. Have you got my email yet? I would like for it to be read first on Tuesday morning. Where does santa buy his food? Hi Santa i am so cool about you!!!! Did you got Raymond and Angel-Abigail Mail. Dear Santa, I know I am not a child and I am 35 years old, but all I want is my mom for Christmas. I lost her last Monday and my heart is broken. My name Is Rebecca Horton but everyone calls me Becca. I am 5 years old and I go to St John. I have been a really good girl as you know because Angel my elf should be telling you, and I do what I am told. All I want for Christmas is a Blue Velociraptor mask and gloves. I love you and I see you all the time on TV. I will leave you lots of cookies and a glass of cold milk. Make sure you look in the yard so Rudolph and the others can have the reindeer food I will leave for them. a Chevy Truck, and a phone. Do the elves get a day off for working hard? Does Rudolph’s nose turn a different color when he gets a cold? If it does. what color does it turn? Please stay while your delivering presents!